An Origin Energy gas turbine peaking plant in Adelaide, South Australia recently underwent a successful replacement of critical oil cooling system components through local supplier, Air Radiators in Adelaide. Gas turbine number 5 (GT5), the largest of five open cycle gas turbine generators at Origin Energy’s Torrens Island Quarantine Station, was identified in routine plant monitoring to be leaking radiator water into the containment bunding – the challenging operating environment contributing to the early decline and corrosion of the turbine lubrication oil cooling radiators. 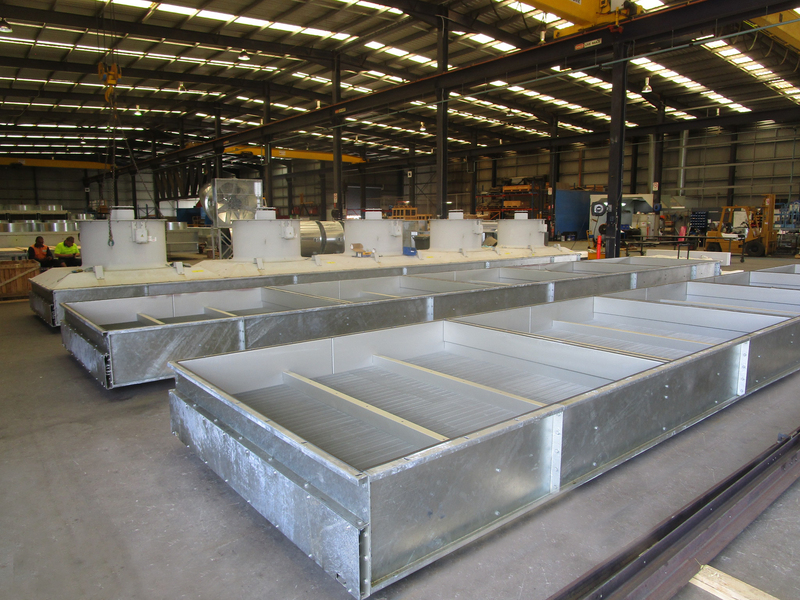 As a local manufacturer, Air Radiators was contracted to supply replacement radiator cores – coils and fins – as a preventative measure to ensure reliability over South Australia’s summer season. This project highlighted the benefits of buying local as the high-risk project could be carefully planned and execution. Through working closely together and with a high attention to detail, the risks of the program were mitigated and the units were delivery on time and within budget. Origin Energy’s Plant Technical Manager, Conway Blacker, planned and supervised the project identifying a compelling business case to schedule the retrofit to meet the demands of the looming summer season and the poor state of the cooling system. “Working with Air Radiators as a local supplier provided many benefits,” Mr Blacker said. “Origin Energy prefer to engage with local suppliers where possible, and in this case, we achieved competitive pricing, effect project performance and the comfort of knowing local support and back-up is just around the corner. “It was a huge relief to see the final unit slide into position – we knew then we had executed a successful project,” he said. As the peaking plant provides power at times of high demand, replacing the damaged radiators had to carefully timed, being swapped out during a period of low demand allowing the main turbine set to be temporarily taken offline. The three radiator cores delivered each measured 13 by 2 metres and were manufactured to a high tolerance to ensure exact fit within the original surrounding steel framework, plumbing, motors and fans. The replacement radiators coils were also externally coated to provide advanced corrosion protection. Origin Energy were extremely satisfied with the finished product stating the initial performance data showed a successful change out with cooling performance identical to specification. “I am happy to report the retrofit went like clockwork,” Mr Blacker said. “We completed the changeover well ahead of schedule and handed back the GT5 two days before deadline,” he said. Air Radiators facility in Gillman, Adelaide service power generation companies throughout Australia, Asia and the Pacific Islands. Air Radiators were one of the 540 exhibitors who attended the Australian International Airshow last week, taking place just 10 minutes away from its Victorian facility in Avalon, Geelong. Exhibiting as part of the Victorian Government Pavilion in the central hall, Air Radiators showcased their defence capability as well as promoting its innovative technology, Alu Fin. Alu Fin heat transfer products are high strength and highly customisable comprising of flexibly mounted individual finned aluminium tubes. “Air Radiators is a leading example of how regional businesses such as ourselves contribute to Victoria’s defence supply chain,” Business Development Manager, Jove Manev said. 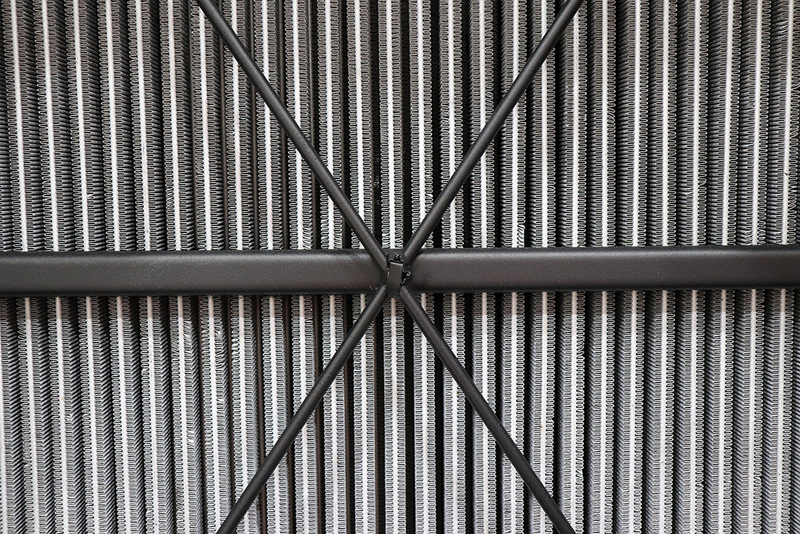 By employing locally in Lara and Geelong as well as purchasing from Victorian material suppliers, Air Radiators also help create key manufacturing jobs in the region. Air Radiators has also been part of several local and international trade missions and events with the Victorian State Government including Eurosatory in Paris, InnoTrans in Germany and LandForces in Adelaide. Occurring every second year at the Avalon Airport premises in Geelong, the Airshow allows the Aviation, Aerospace and Defence industries across Australia and the Asia Pacific region to showcase their technologies, equipment, systems and operational methods.